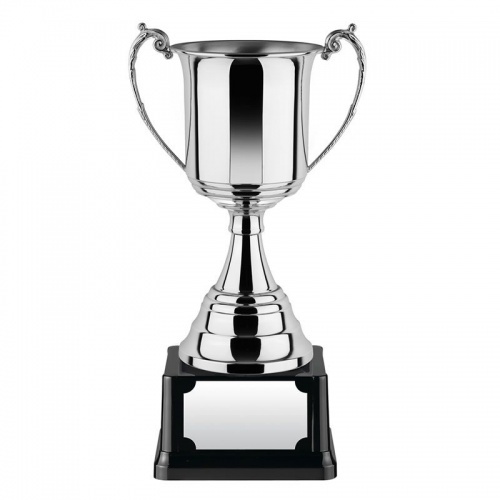 Handmade in Britain, these attractive trophies feature a classic trophy cup mounted on a square shaped heavyweight black base with engraving plaque. The trophy and tapered stem are finished in tarnish-free nickel plate with a bright mirror finish. 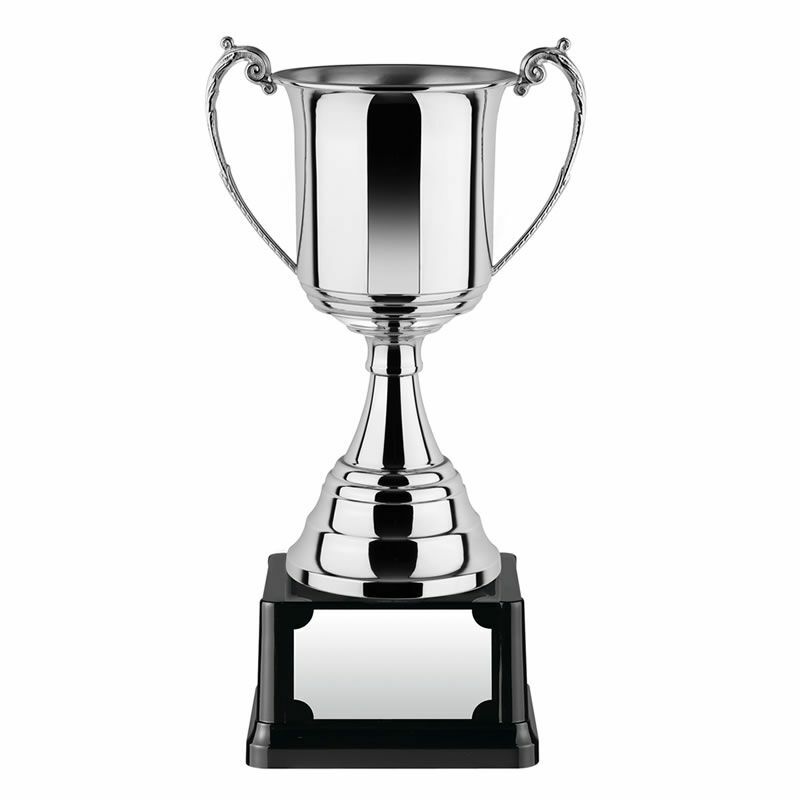 Available in four sizes, these trophies are offered with engraving options.